My (LEGO Pokémon) prayers have been answered! In the comments section of my last LEGO Pokémon post, I mentioned that I'd love it if Filip Johannes Felberg added Vanillish to his ever-growing collection LEGO Pokémon creations. Although the crafty Pokéfan didn't give me exactly what I wanted, he gave me the next best thing: A Vanillite made out of LEGO blocks! True story: Vanillite/Vanillish/Vanilluxe are among my most favorite Pokémon Black /White creatures. Do it. It's worth it. The game opens WAY up after the credits roll. Oh, and...AWWWWWW! IT's adorable. My prayers have been answered as well with this one. Are you not a portable gamer, Sean? I've never seen you post about GameBoy or Game Gear games before, for instance. Actually, I've only seen you post about Famicom, Super Famicom, MegaDrive and PC Engine games before, and even then I've barely seen you writing about the last three. Anyway, I think you'd like the Pokemon games. I know they get a bad rap from some folks, but they're actually pretty enjoyable if you're at all into RPGs. 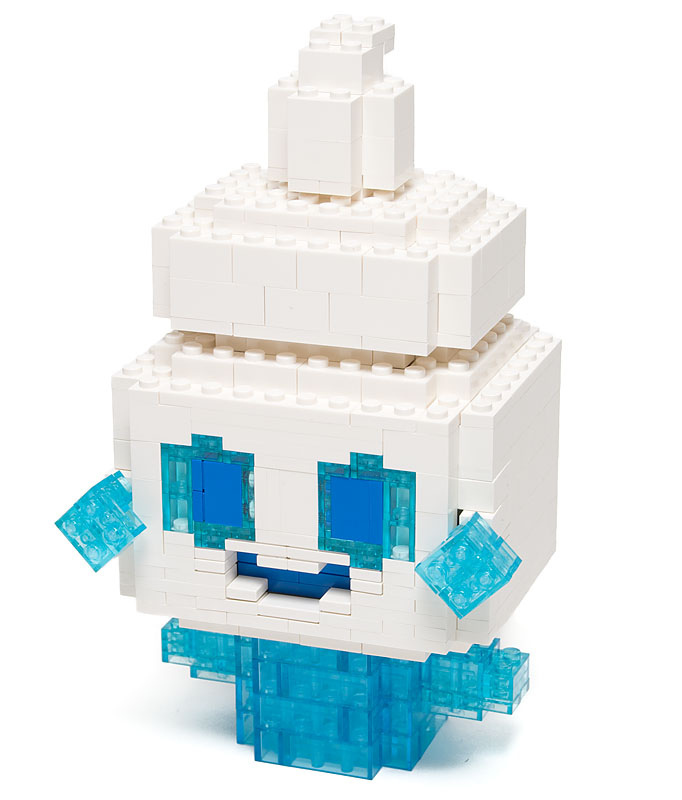 Major Kudos Filip, I didn't think Lego Vanillite could be done! Tbh I don't even like Vanillite normally, it looks much much cuter in lego form though. MY request is a lego Jirachi, CAN IT BE DONE?!? As for a LEGO Jirachi -- *that* would be something to see, IMO! I like Vanillite and it's evolutions primarily because they were designed by who I think is GameFreak's only Western employee. James Turner, his name is. I dunno'. For someone who likes the idea of working in the industry that's sorta' significant. That's very interesting, SUIKA! How did you know that? Also, which other Pokemon creatures did he create? LOL, I'm kind of a portable gamer. I have an original Gameboy and a Gameboy Advance, but I don't have any Pokemon games for either. I also have my Game and Watches, which I think pre-date Pokemon. Ah, I didn't know that you have a GB and GBA, Sean. Do you have many games for either system? As for Pokemon: All of the mainline games are RPGs. A number of spin-offs have been released over the years, and for a number of systems. The best ones, IMO, are the Mystery Dungeon titles released for the GBA and DS and Pokemon Snap, released for the N64.